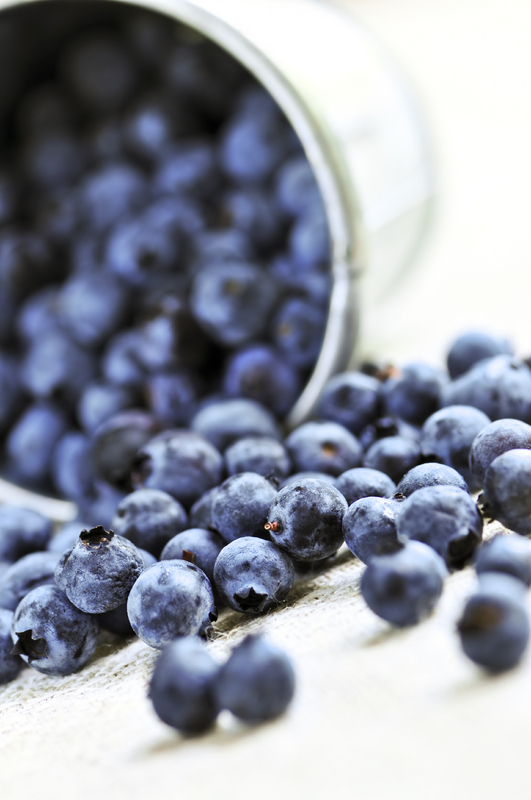 The super-food this week with be the Blueberries and you need to use it in breakfast. Yes, boring, I am sure. I had all intentions of picking something crazy for the breakfast category but have not had anytime to really do my research. So … we are ending this challenge on the norm! It is believed that consumption of ellagic acid, an antioxidant found in blueberries may reduce a person’s risk of cancer by blocking the metabolic pathways that can promote cancer. Laboratory research has found that ellagic acid may actually slow the growth of some cancerous tumors. Blueberries are very good for you!! Not only are they great with breakfast but we love to have them around for snacking! I also have to admit … I did not get to my challenge for last week. It is sitting in my fridge and I will make it this week. The good news, I ran 4 days in a row and it felt great! Check out the GREAT roundup that Christy posted – everyone did a great job! Post your entries some time this week on your blog, and send me an email at denise@chezus.com with the link to your post and a picture. I can’t wait to see what you come up with. Entries are due Saturday evening before midnight (PST). Have fun! 4 Responses to "RSBC Challenge – Week 4"
Blueberries yum! I absolutely love blueberries and can eat any blueberry dessert for breakfast. We'll see what I come up with.